Whenever a catastrophe pushes a civilization to the brink of extinction, the survivors are faced with the enormous challenge of not only rebuilding their lives, but ensuring the survival of their cultural heritage as well. 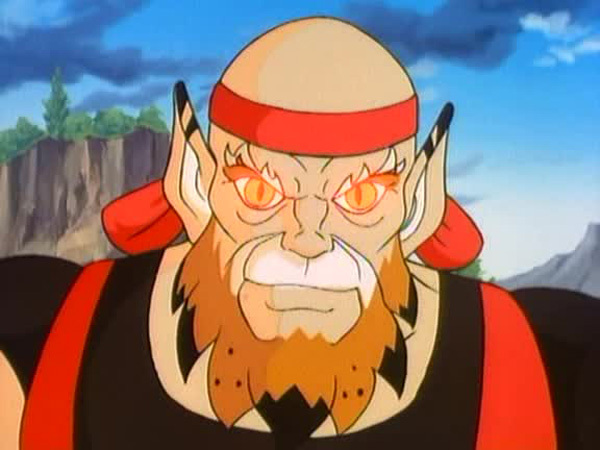 Despite the destruction of their home planet Thundera, the customs and traditions of the Thunderian society have been kept alive by the surviving ThunderCats. Spreading the Code of Thundera wherever they go, the noble felines ensure that the essence of their civilization is not lost. 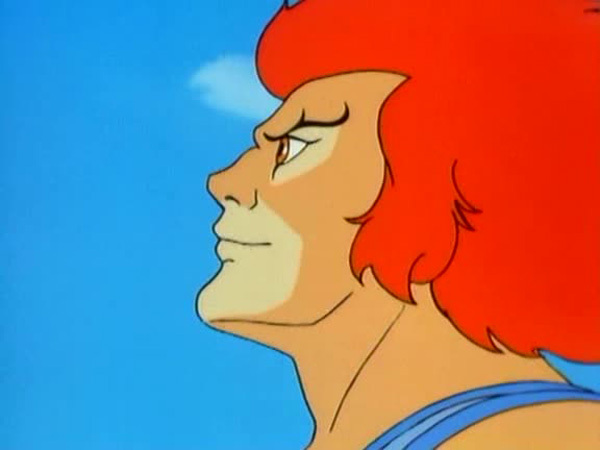 Standing beside the wreckage of their Royal Flagship, Lion-O is telling Snarf about his ambitious plans for the future. While in earlier episodes Lion-O often reminisced about his home planet with a heavy heart, the discovery of New Thundera has filled him with optimistic aspirations of rebuilding cities, reuniting people, and sharing the knowledge that they have gained on the incipient planet. Lion-O’s narration is presented in a beautiful montage of images which serve as a prelude to the brilliant animation present in this episode. 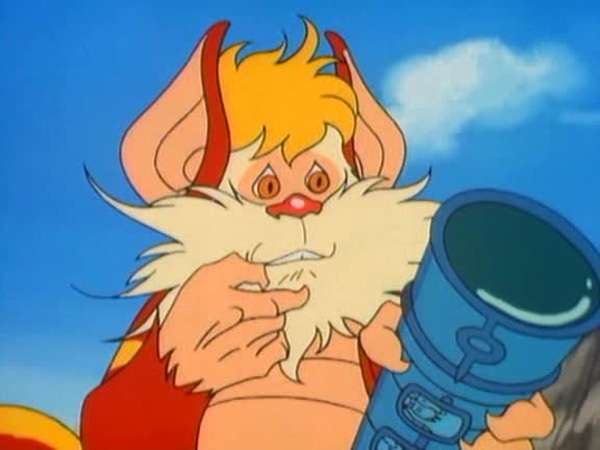 Sifting through the debris, Snarf finds a strange telescope which causes anything of Thunderian origin to glow when viewed through it. As Lion-O and Snarf are taking the Thunderscope back to their lair, they are ambushed by Ma-Mutt and Mumm-Ra, who initially takes on the guise of Lynx-O. A fierce battle ensues between them for the possession of the Thunderscope. Lion-O struggles to fend of Mumm-Ra’s salvo while Snarf contends with Ma-Mutt’s rock-crushing and tree-chomping jaws that rival those of the Tasmanian Devil from “Looney Tunes”! 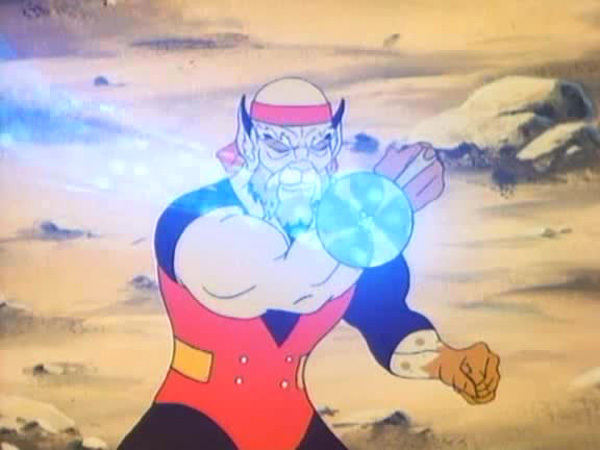 As the fight intensifies, Mumm-Ra fires a bolt of energy from the Sword of Plun-Darr that damages the Eye of Thundera. A second blast hits Lion-O, its intensity erasing the ThunderCats insignia from Lion-O’s belt and he falls lifelessly to the ground. 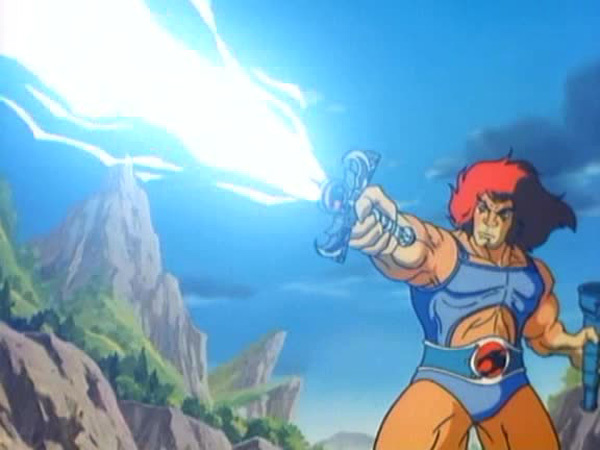 Mumm-Ra leaves with the Thunderscope, not knowing that Lion-O had removed a lens from it during their scuffle. Just when all seems lost, Jaga materializes and in a refreshingly proactive role, uses his powers to restore the Eye of Thundera on the Sword of Omens and the insignia on Lion-O’s belt, bringing him to consciousness. In the Tower of Omens, Lynx-O analyses the lens using his super senses and reveals that the Thunderscope was crafted by ancient Thunderians to locate lost countrymen and their belongings. Now that it is in Mumm-Ra’s hands, he could use it to find the remaining pieces of the Treasure of Thundera. 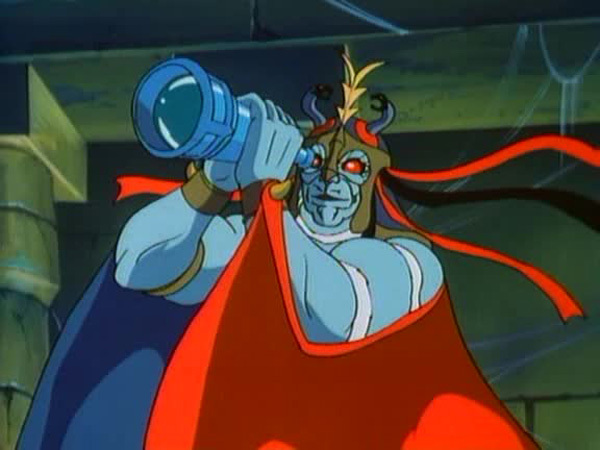 Realizing that the scope is missing a lens, Mumm-Ra arrives at the tower with Chilla and Tug Mug and manages to wrest the lens from the ThunderCats before flying back to his Black Pyramid. Lion-O and Snarf pursue the devil priest in the Thunderclaw, this time succeeding in overpowering him and reclaiming the Thunderscope. 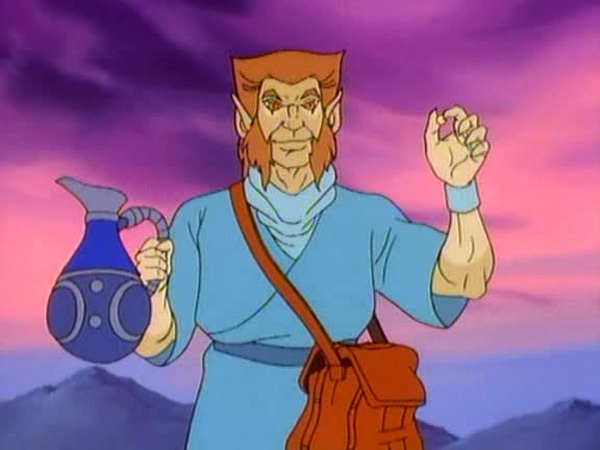 The script utilizes the limited cast very efficiently with only Lion-O, Snarf, Mumm-Ra, and Ma-Mutt dominating the episode while a few other characters appear briefly. Lynx-O’s narration gives interesting albeit brief information about ancient Thunderians. A montage accompanying his narration, similar to the one at the beginning of the episode, would have been a great addition to the episode. The story unfortunately lacks much depth and is basically a tug of war between Lion-O and Mumm-ra for the Thunderscope. The scope itself is a MacGuffin and helps to move the plot forward without actually playing an important part in it. Despite its simple premise, the episode never digresses into boredom, thanks to the fast pacing and superlative animation. It is after a long gap of many episodes that the wreck of the ThunderCats’ Royal Flagship is seen. Previously it only appeared in a few of the initial episodes of season one. When Snarf falls down, he says, “I’m alright, Lion-O. I just hurt my pride”. In the episode “Locket of Lies”, Panthro says a similar line when the ThunderCats fall down into the chamber. 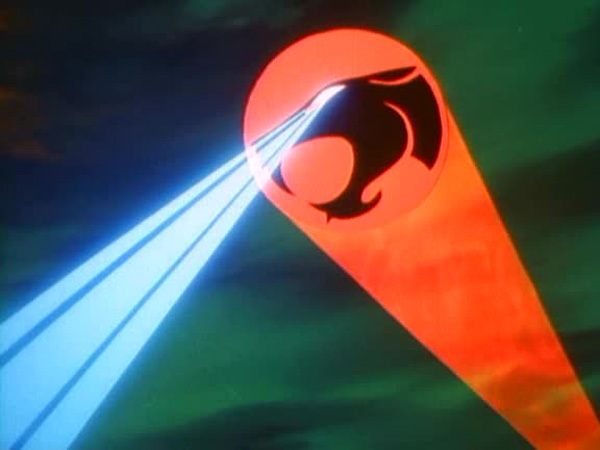 The discovery of the Thunderscope near the wreck of the Royal Flagship suggests that the ThunderCats had taken it with them when they left Thundera. 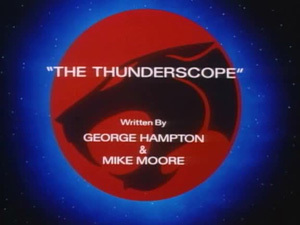 Yet none of the ThunderCats seem to know what it is and act like they are seeing it for the first time. 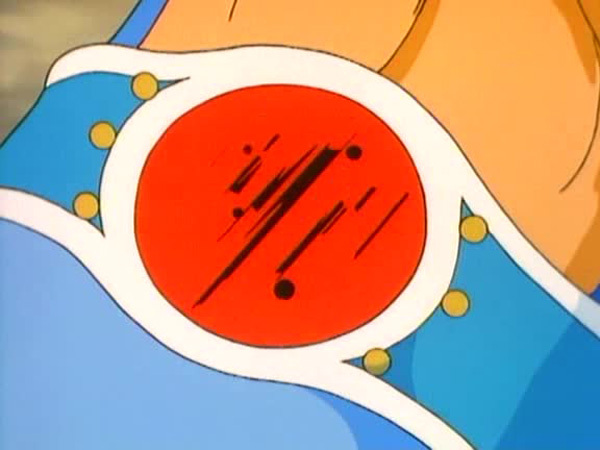 Mumm-Ra’s attack damages the Eye of Thundera and causes the ThunderCats insignia to disappear from Lion-O’s belt. 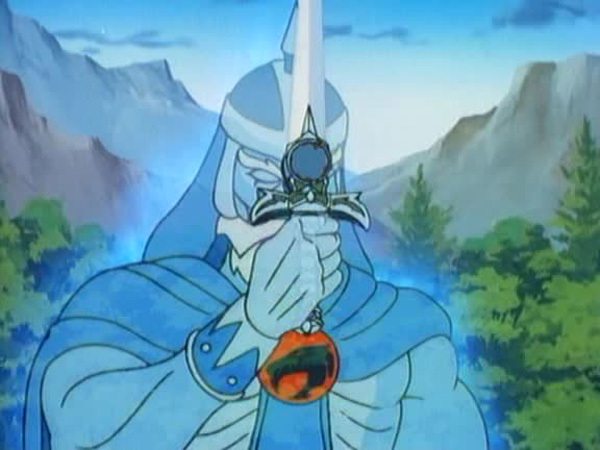 Such an incident has happened once before in “Excalibur” when Mumm-Ra, in the guise of King Arthur, uses the eponymous sword to pierce the Eye of Thundera. Lynx-O’s explanation reveals that Thundera wasn’t always populated by Thunderians. The ancient Thunderians moved to the planet during the great migration, thus leading to the original settlement of Thundera.